I am starting the new year off with a curbside furniture makeover. 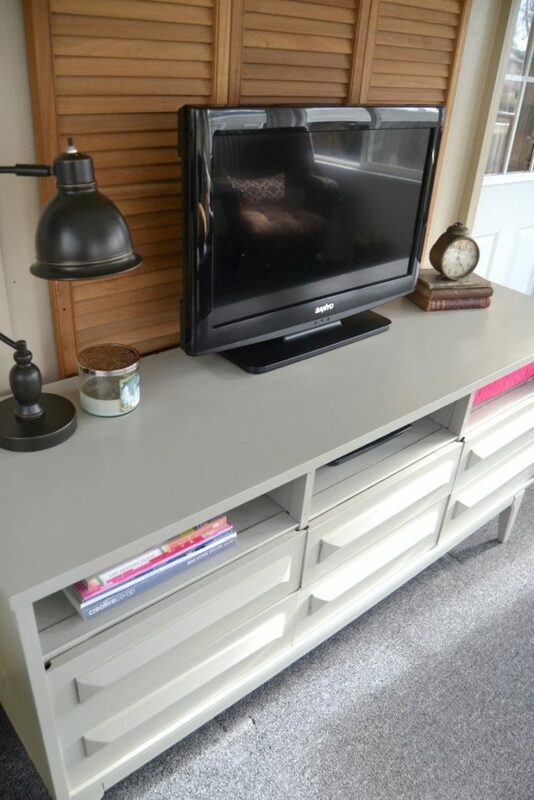 This piece was sitting on the side of the road and when I saw it, I knew I could turn it into a Modern Entertainment Center very easily. If you follow me on Instagram, you saw that I picked this piece up a few months ago on the curb. After a little work, it is a new piece! 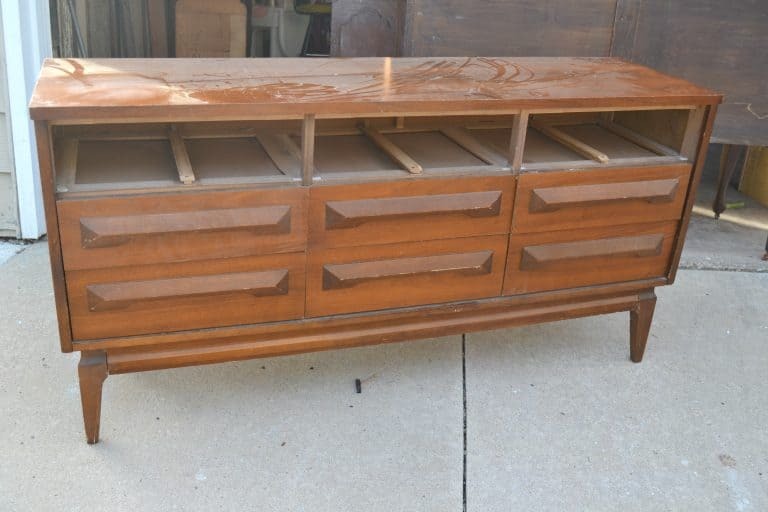 When I spotted this dresser, all the drawers were on the side and top of it. I didn’t even think to count them. I was just concerned about getting the dresser in my van. Even when I got out to put it in my van, I didn’t count the drawers. It was not until I got it home and was putting it all together that I noticed it was missing three drawers. I checked the van twice to make sure the other drawers weren’t there. Since I was missing an entire row of drawers, I had to get creative. There was no way I was going to give up on this great piece. 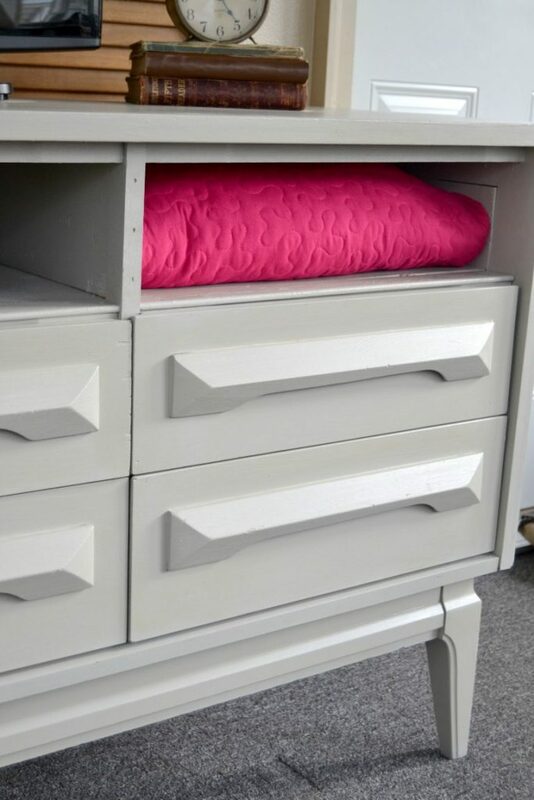 So, I decided to turn the top row of missing drawers into cubbies. 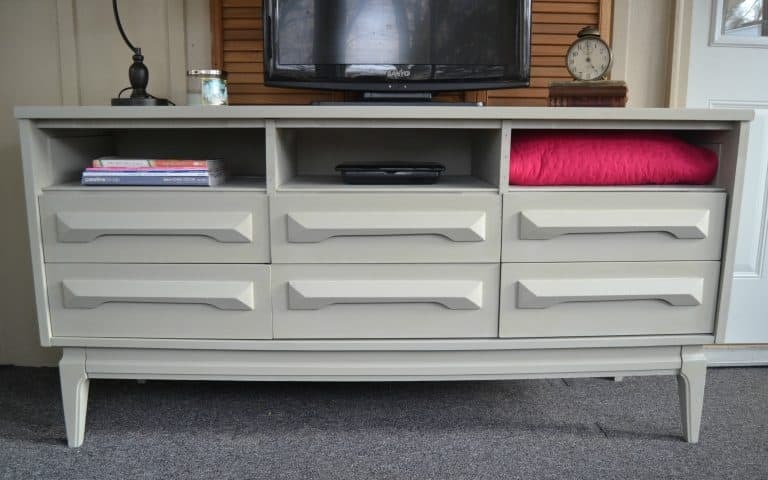 That way, it could still be used as a dresser, but it would also make a great modern entertainment center. The first thing we did was take the rungs off of the top row of shelves. Then, we cut thin plywood to make a base and added wood to the sides of where each drawer was. 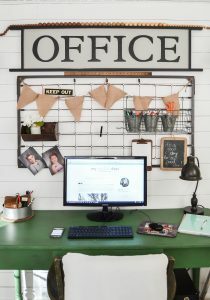 This gave it a cubby look with three separate spaces. We added trim pieces to the front to make it look more finished. To prep the piece before I painted it, I used Rustoleum Zinsser Deglosser. 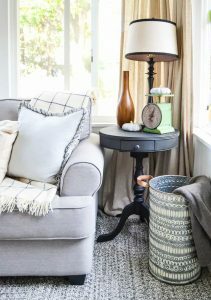 I used this product on my White End Tables and loved the outcome so much. I knew it would work great on this piece and it did. I painted the entire piece, including the inside of the new cubbies, in “Bedford” from Fusion Mineral Paint. After two coats, I put a flat, top coat on it to seal it. 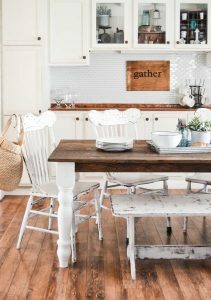 I know a lot of people cringe at the thought of painting over wood and I agree with some pieces, but I also believe that a coat of paint can really highlight the best features on a piece of furniture. 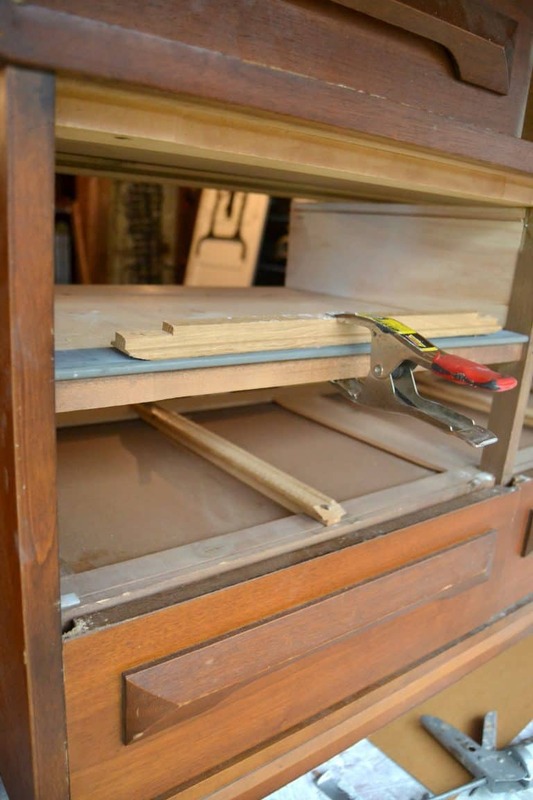 I really notice the legs and the drawer handles on this piece now. 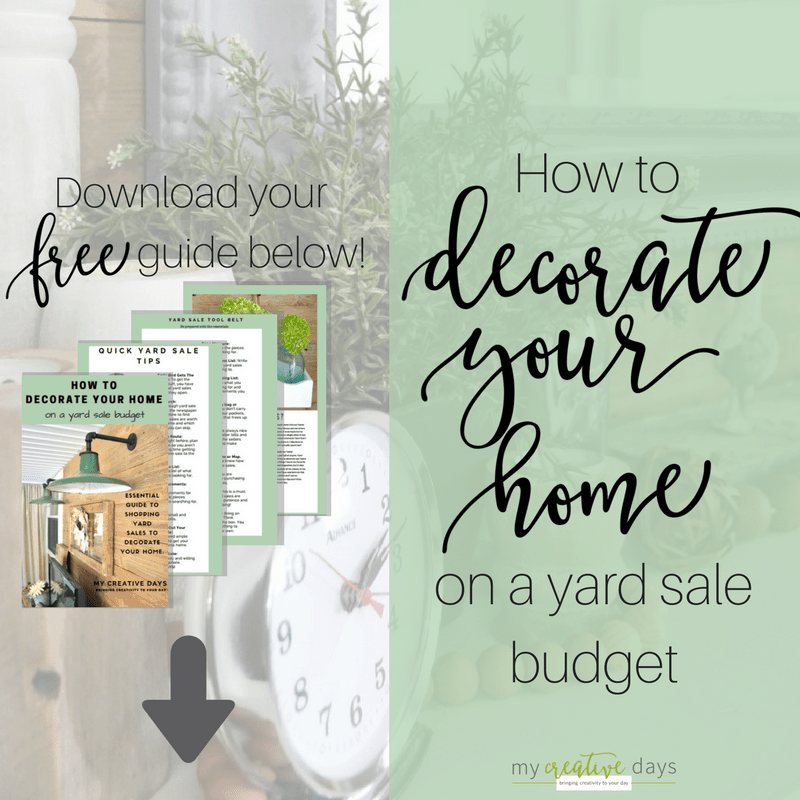 If you have been following this blog, you know that some of my favorite projects are my curbside rescues. I love a good dresser turned entertainment center transformation and Lindsay, yours is great! I have one on my workbench queue too but not nearly as nice a piece as yours. I love how this turned out! 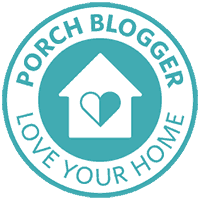 I wanted to let you know I am featuring this project on my blog tonight at the party. 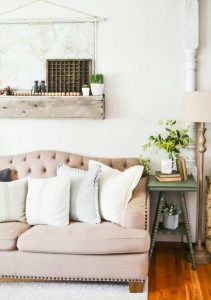 Thanks for sharing at The Creative Corner! I’m a firm believer of “one man’s trash is another man’s treasure” so “trash pick” often. 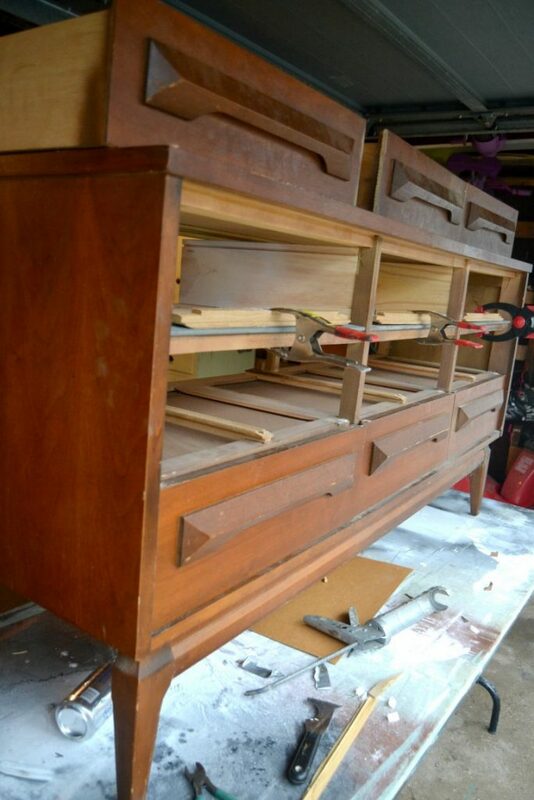 I heard a tip of taking some of the drawers of a dresser you find while “trash picking” if you don’t have room to take it right at that moment. This is supposed to discourage people from taking it. Then you can come back for it. 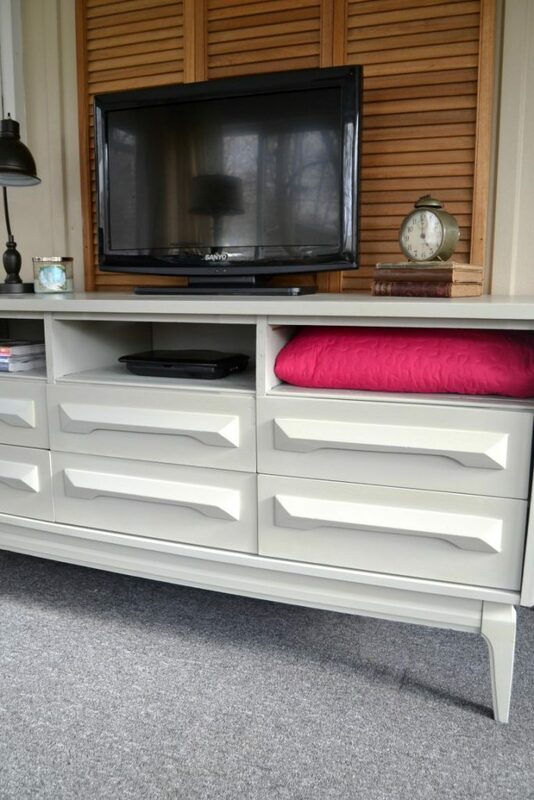 Well this furniture redo just blew that tip out of the water! Love it! I really enjoy your blog…thanks much! seems like you think out of the box a lot, good for you and the piece looks awesome! !